Refreshing Daily in God's Word: Daily Devotion: Where Is the Word? Key Verse: Verse 15 – “Behold, they say unto me, Where is the word of the LORD? let it come now." Jeremiah 17 is a prayer of Jeremiah as he pleas to God for His aid. The people called Jeremiah a false prophet and kept asking him when his prophecy of destruction was going to come. Which organ of the body requires the most energy? The first two obvious guesses might be the heart or brain. Actually, the inner ear demands the most bodily energy. 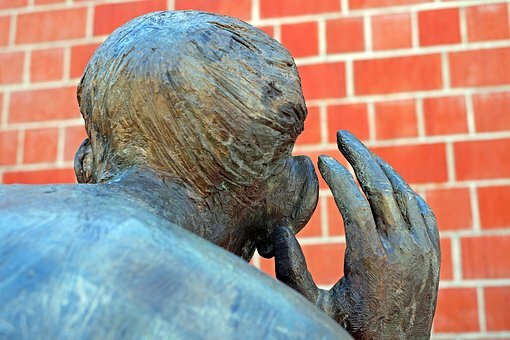 Attentive listening can be a draining experience, so God made sure the ears got all of the necessary power to carry out his important task…and He also gave us two of them. The real problem with the Jewish people was they did not have ears to hear. What a shame! You can always tell the doubters. They make fun and mock what they don’t understand. ✞ Hear and heed God’s Word. Failure to do so only produces your own demise.